After nearly 3 months of use, our solar system from Newport Solar has worked flawlessly. It has cut our electric bill to a fraction of what it normally was despite it being the dead of winter and solar production being at its lowest point of the year. Doug and his team were extremely easy to work with and Doug provided us with all the information we needed to know regarding the system, incentives, and installation. He kept us up to date on every step of the process and was very prompt in responding to any questions we had. 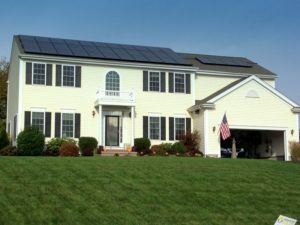 We highly recommend Newport Solar to anyone looking to install a solar system on their home or business. You won’t be disappointed!